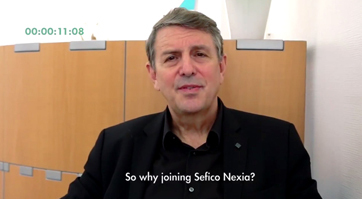 Sefico Nexia is a fast growing human scale firm in the heart of Paris. Constantly looking for new employees, Sefico Nexia offers you rich experience, a tailored training plan and motivating career development opportunities. Join a young and evolving group! You are currently following a Masters course in Accounting, Control, Audit / Business school or equivalent, DSCG. You want to explore more aspects of the accounting business: auditing the accounts, participating in defining the production process of the accounts or the reporting of our customers, and advising them with regard to their accounting issues. Sefico Nexia invites you to come and discover its Accountancy / Audit activities. Chartered Accountant graduate or graduate of a business school, a Master CCA or DSCG, you are dynamic, curious, have initiative, a taste for teamwork and good interpersonal skills. You have 3-5 years experience in an office. Sefico Nexia is recruiting a supervisor as part of its development. With bac+2-type training, you have at least 1 year of initial experience in payroll within an accounting firm or within an outsourcing payroll company. You want to progress in a technically demanding but friendly working environment. Sefico Nexia invites you to join its social service. Holder of at least a bac+2 or equivalent, you have a minimum experience of 2 to 5 years in the function and you have good knowledge of SAP. Sefico Nexia is recruiting for its shared service centre. You will be responsible for a portfolio of accounting/audit records. You will have access to training allowing you to change your position. You have successful experience of team management and you have begun to understand business development in your activities. Rigorous, organized and having a great ability to adapt, you demonstrate good interpersonal skills and an excellent level of spoken and written expression. You are dynamic and motivated, join us ! You will work under the responsibility of an account manager within a team based in a shared services centre in Issy les Moulineaux. Knowledge of SAP is essential. You have a practical sense of the organisation of work and good interpersonal skills..
You have a practical sense of the organisation of work and good interpersonal skills. – Monitoring relationships with different organisations: mutual, provident, retirement, CPAM, URSSAF… Knowledge of Pegasus payroll software is a plus. Fluency in English is appreciated. You are independent, versatile and have good customer relationships. Join us! You will be required to get involved in assignments for accounting assistance, accounting review, outsourcing, consolidation and auditing. You will work on multiple files with the help of a Manager. To perform your work, you will have efficient computer tools, as well as consistent working methods within the firm. As to your multi-sectoral assignments and training that will be provided to you, you will develop expertise and skills allowing you to evolve in our structure. You will be based in the Paris 16th district, but the geographical location of our customers could lead you to travel in the Paris region or in the province. You are learning the English language and if possible another foreign language. Sefico Nexia celebrates its 60th anniversary !